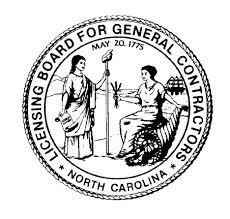 These NC General Contractor books are available here from our online bookstore. You may purchase books at the seminar or online. We recommend ordering early for extra studying and preparing for the test. The test will be open book, but note that you can only take 6 books into the exam. 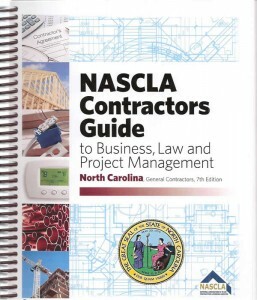 This set includes the books deemed to have the most valuable information for passing the NC Building Contractor Exam. Poor Management is cited as one of the top reasons businesses fail. As a business owner, you must expertise in the industry and working knowledge of how to run a business. This book takes you through the process of planning, starting and running your company. The business management and law materials provided are written to be clearly understood and applied with ease. 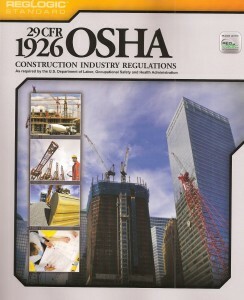 OSHA Construction Industry Regulations will make your job much easier. You will wonder how you ever got along without it! 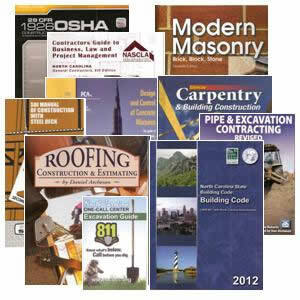 Inside, you will find every OSHA regulation and form needed for compliance. You will spend less time looking up information and more time doing everything else you need to do. This handy 29 CFR 1926 volume is made with RegLogic® Premium, which takes the difficulty out of reading and using government regulations. You can use the book’s Quick-Find Index™ to quickly access the information you need.